In Texas, chili is pretty much a given as far as local cuisines go. And there’s no rule that says it’s just for cold weather either! I can remember when I first moved to Texas in junior high, I had my first chili pie (whoa, that’s a rhyme). Our local neighborhood pool had a concession stand and that’s where I first tasted one. Whoever thought to combine crunchy corn chips and spicy chili was a genius! 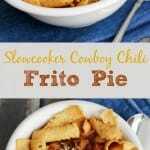 This Slowcooker Cowboy Chili Frito Pie recipe is not super spicy and you can adjust the heat as needed but decreasing the chili powder or using a smaller jalapeno pepper. But even a spice wimp like me (yep, I don’t love the super spicy stuff) can handle the heat in this chili recipe. 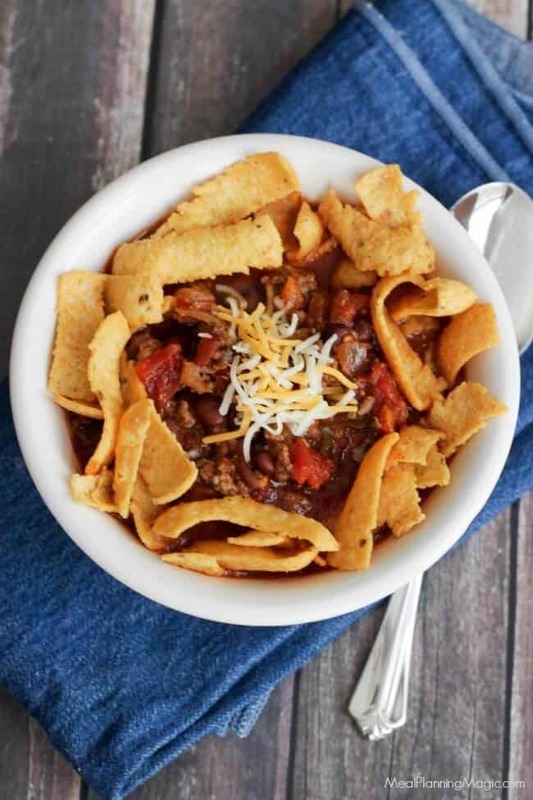 I know the corn chips aren’t the healthiest, but this Slowcooker Black Bean Chili sure is! I love that it has so many good-for-you ingredients like peppers, garlic, onion and tomatoes. And even though my family is not normally a fan of beans, they don’t seem to mind the addition of the black beans and I like that they’re getting the extra fiber and protein! This is a modified version of Cowboy Chili that I made a few years ago. I’ve tweaked some of the ingredients and also adapted it for the slowcooker. So that’s a double bonus for a hot summer day! You can keep the heat out of the kitchen but enjoy all the tasty goodness. 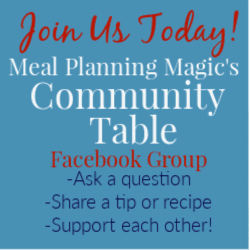 In large pan, brown ground beef over medium heat 8 to10 minutes or until beef is no longer pink, breaking up into 3/4-inch crumbles. Remove from pan with slotted spoon and set aside. Pour off drippings. In 6-7 quart slowcooker, combine cooked ground beef and remaining ingredients, onion through black beans. Stir to combine. Cook in slowcooker 6-8 hours on LOW or 3-4 hours on HIGH. 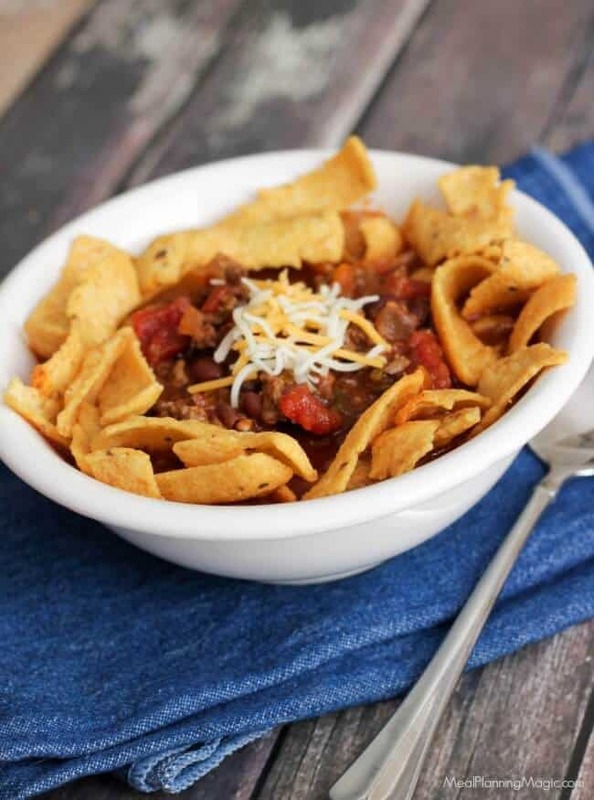 To serve, layer 1/2 cup corn chips in a bowl and top with chili. Add cheese if desired. We usually like to enjoy our chili pies with some fresh, seasonal fruit on the side to complete our meal. Have you ever had a chili pie? « How to Save With Groceries Delivered To Your Door with Shipt!